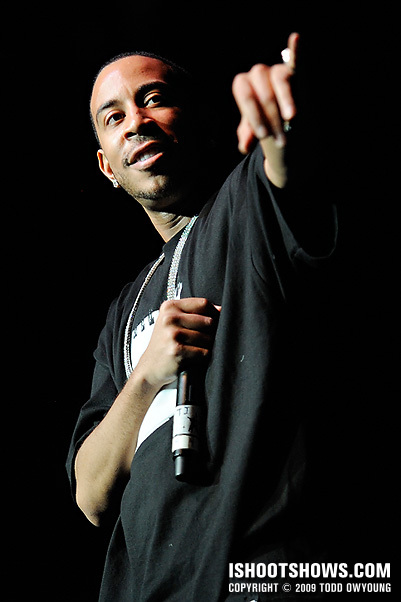 February 19, 2009 – Performing on the Swagger Like Us Tour, Southern rapper Ludacris brought equal parts braggadacio and impeccable showmanship to the stage at the Chaifetz Arena. 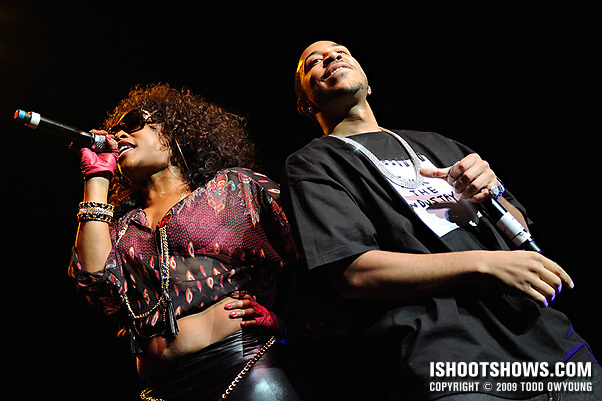 In addition to Ludacris, Chicago rapper Shawnna, the first female artist signed to Def Jam Records, took the stage, providing a great contrast and dynamic to the performance for the time she spent on stage. The main challenge of this show was the very narrow pit, with essential no real room to move around given the amount of other photographers and the security personel spaced evenly across the barricade. 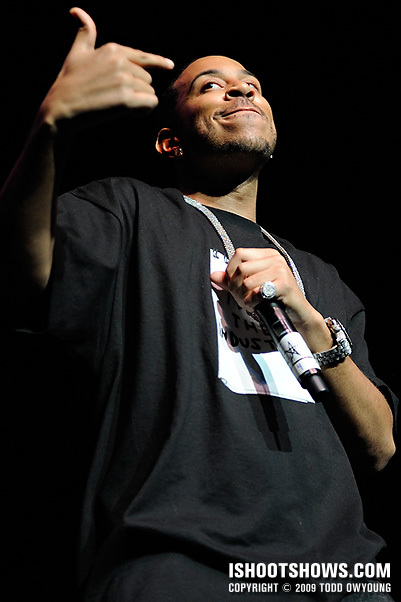 Pushed up against the 5-foot stage created low perspective to the performers, which compounded the already difficult sight lines of Ludacris's close mic position. However, it's hard to complain too much about this show, given the fact that we had no song restrictions and were allowed to photograph the entire set. 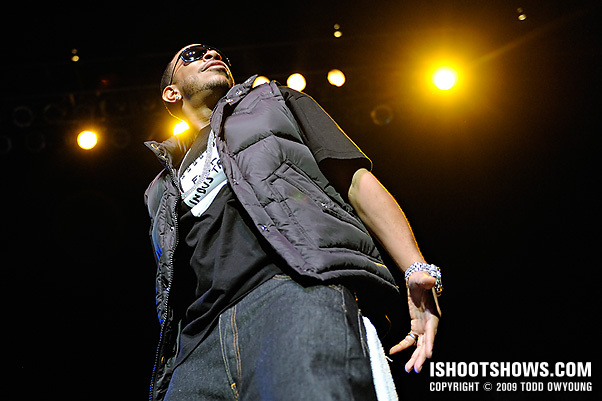 Thanks to a spotlight tracking the Ludacris throughout the set, lighting wasn't a problem, and I stayed around ISO 2500 and 1/500. I utilized the Nikon D3 and Nikon 24-70mm f/2.8 for the majority of this set, also turning to the Nikon D700 and Nikon 70-200mm f/2.8 for longer shots. 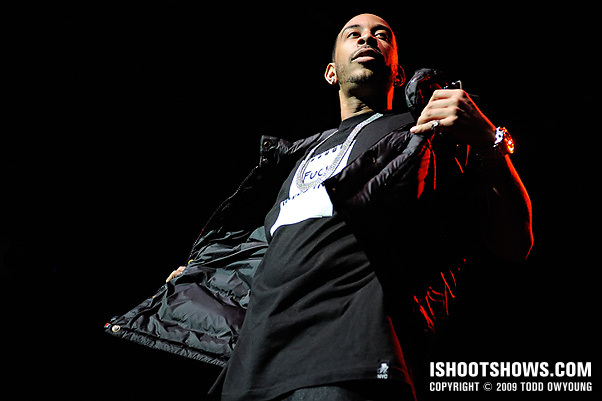 Due to the tight angles and relatively high stage, the Nikon 14-24mm didn't see too much action for this set. 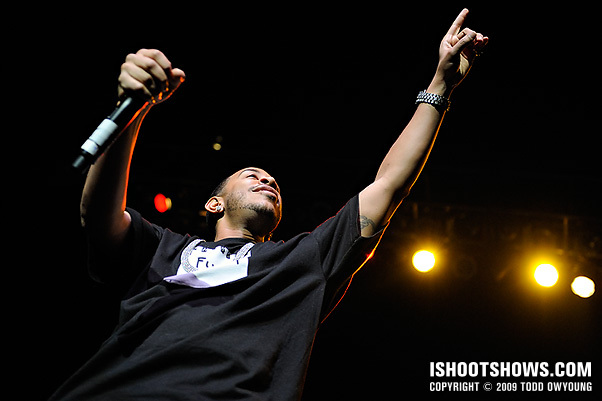 Stay tuned for images sets from T.I., Jim Jones, Murphy Lee, and others from this tour. This was actually a pretty crazy bill, as there were quite literally 8 or 9 acts for the night, which is quite a lot of time in the pit. Many of the press photographers were basically camped out from 7:30pm until after midnight. 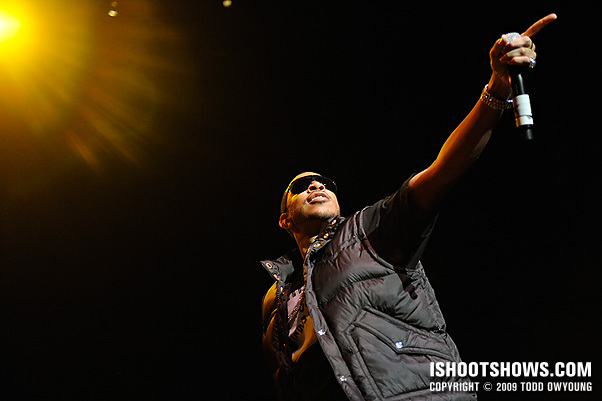 Great shots like always, Todd! 2nd from the last is my favorite. Hey Janet, thanks for your pick! 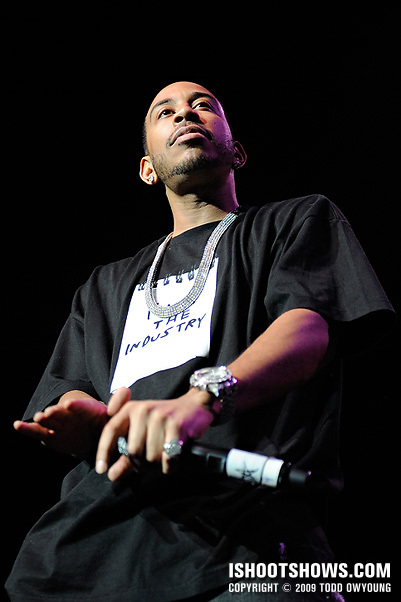 That one you mention with Ludacris and Shawnna is one of my favorites – it really looked like Ludacris was having a great time on stage, something I always love to see in a performance.